Thank you to everyone who participated in the first day of this year’s Ladies Invitational! 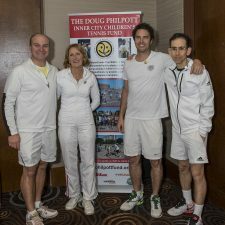 This event is one to celebrate – as it is the 35th event that takes place annually, hosting 40 teams from clubs ranging from the Toronto Lawn, Granite, Cricket, Lambton, Badminton & Racquet, Boulevard, York, Bayview, and the Donalda Tennis Club. Over 190 matches were played collectively today and will continue to go on tomorrow into the finals. GREEN, RED: The Toronto Lawn Tennis Club is currently in the lead for these 2 divisions. 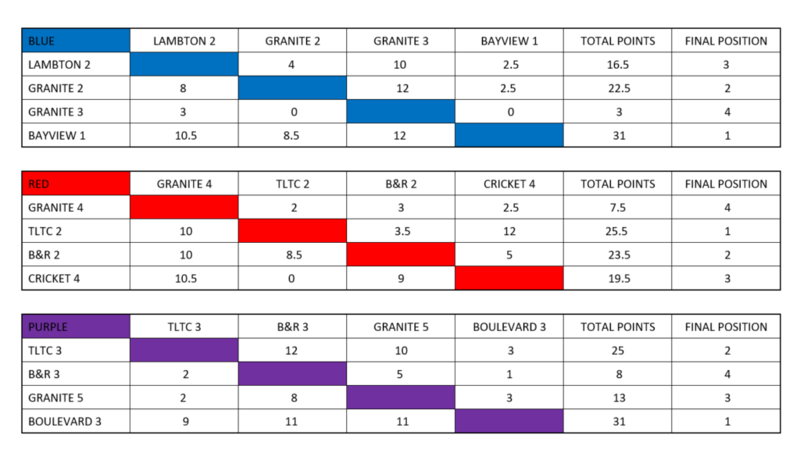 PURPLE: The Toronto Lawn Tennis Club is currently tied with Boulevard at the highest of 22 points. YELLOW: Lakeshore leading with 20 points. 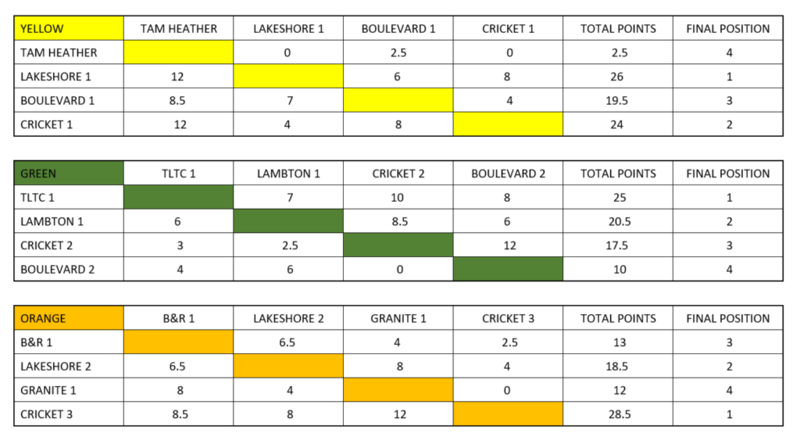 ORANGE: Toronto Cricket Club currently leading with 20 points, while Lakeshore and B&R are at a tie with 10.5 points. BLUE: Bayview leading the Blue Division with 20.5 points. PINK: Donalda Club leading the Pink Division with 17.5. 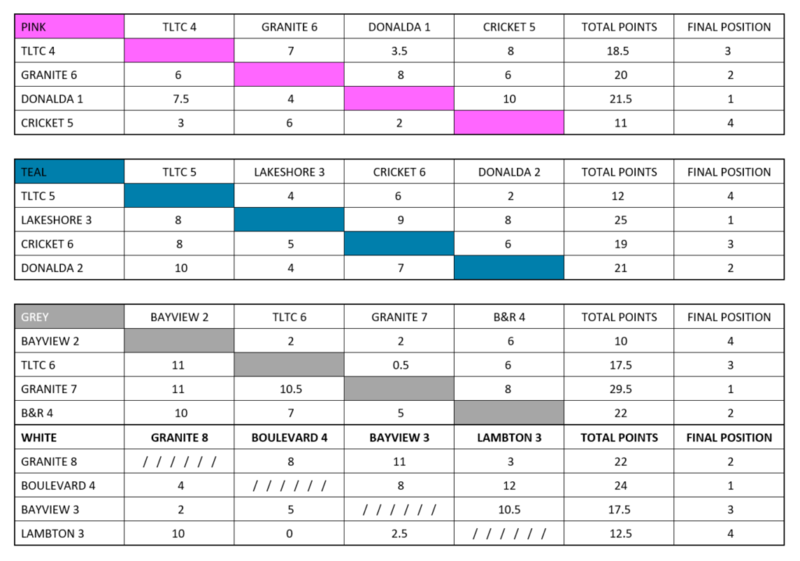 TEAL: Close matches with the Teal Division..Lakeshore in the lead 2 points ahead of Cricket. GRAY: Granite Club 2 points ahead of Toronto Lawn. WHITE: Granite leading with 19 points. 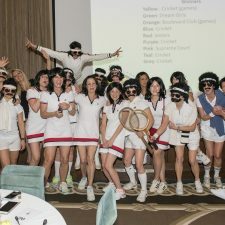 Stay tuned for the silent auction and the “The Tennis Ball” hosted at the Toronto Lawn Tennis Club for Day Two tomorrow!